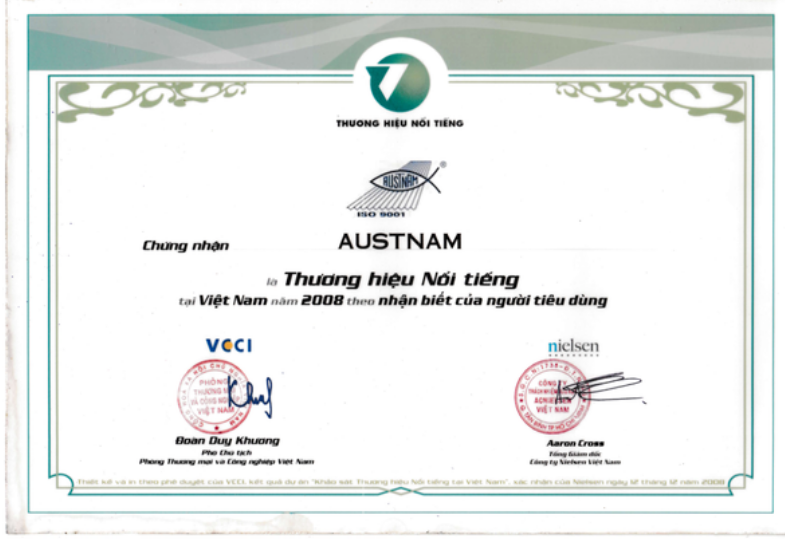 With customer-oriented business philosophy, Austnam has quickly earned customers’ trust ever since its establishment in 1992. Nowadays, Austnam has become a trustworthy brand, recognized and used by various architects and investors. 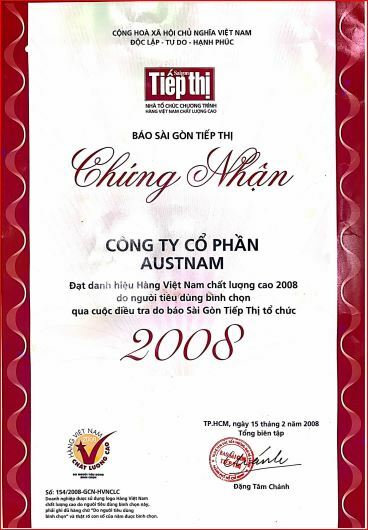 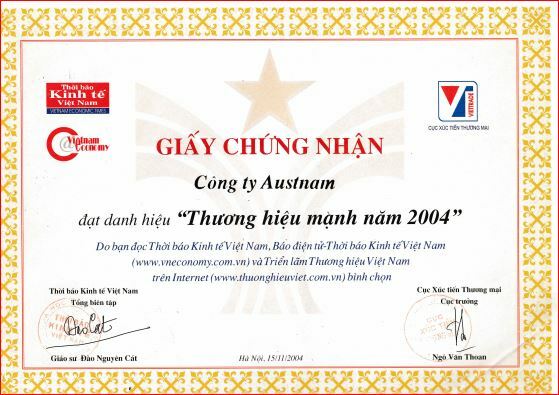 Austnam has achieved the title “Vietnamese high-quality goods” consecutively since 1999 till now, and one of the top three construction firms to achieve “Golden Dragon 2002” award. 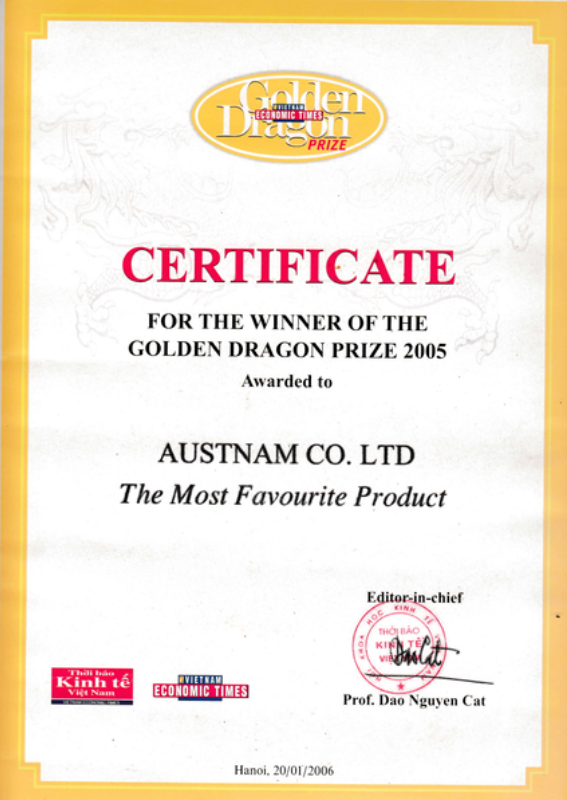 Austnam’s development is oriented to be an elite supplier in terms of construction material. 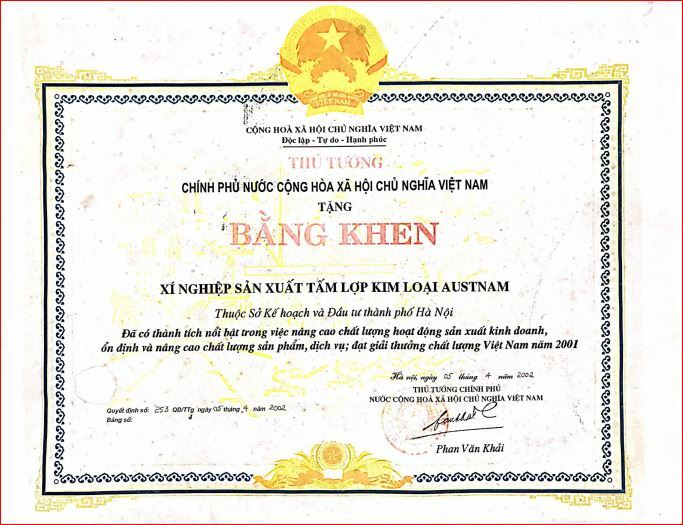 Following that success, the company has invested a facility to produce PE based wood-plastic-composite (WPC), a product that contains wood, PE plastic, and additives with well_fitted for outdoor application. 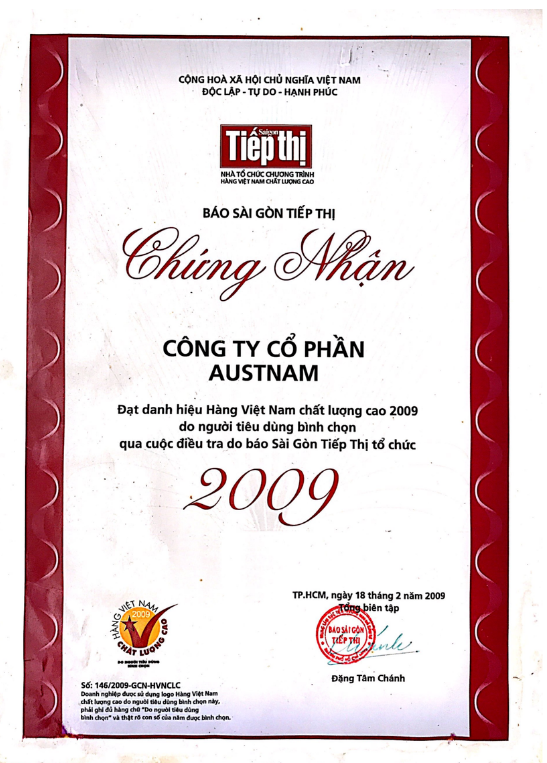 Although PE based WPC has just appeared recently in the Vietnamese market, it had been used widely decades ago foreign architects, to replace wood and other products in outdoor projects such as swimming pool floor, sidewalks or backyards, siding boards, wall cladding, resting cabin, etc. 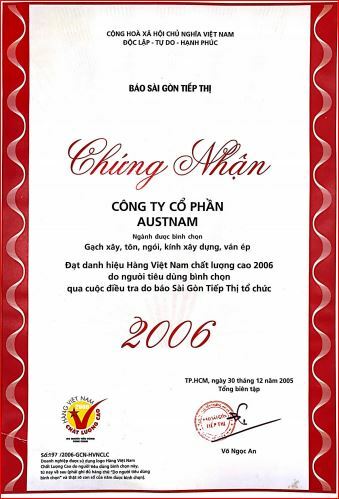 The company’s products have been tested by Quality and Testing Center 3 – Directorate for Standards, Metrology & Quality and INTERTEK CO., LTD following American ASTM standard, EU-EN Europe standard.